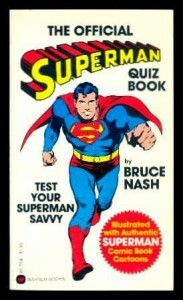 While dated now due to a lot of continuity reboots, this is the gold standard when it comes to Superman quiz books! I can't really recommend it to anyone reading modern Superman comics; this is for silver, bronze, and golden age fans of the character. The information would be far too arcane for a fan who jumped on board during, say, the death of Superman storyline (or later issues).